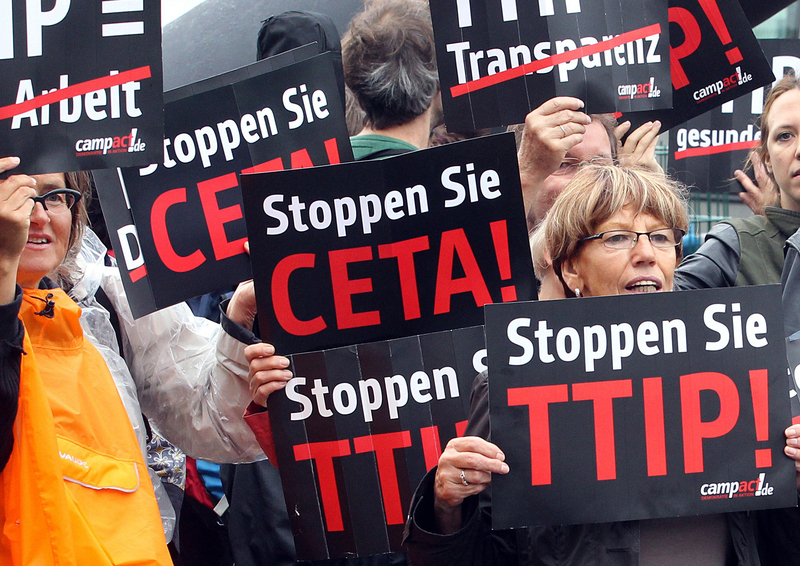 The recent opposition to the Transatlantic Trade and Investment Partnership (TTIP) and the Comprehensive Economic and Trade Agreement (CETA) are just two examples of how hostile opinions towards inter-continental trade has become in the recent times. But what happened when for the first time technological innovations and scientific discoveries made it possible to bring a shift in the trading regime of the Western Civilization from one which was rooted in short distance and regional trade to one dominated by inter-continental trade? 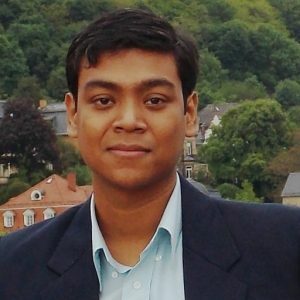 In this essay I will be dealing with the period starting from the last decade of the 15th century to the end of the 18th century and try to point out the differences between inter-regional and inter-continental trade which soon became apparent during that period and in doing so hope to provide a historical precedence to the current debate. The lessons from history are not always straight-forward but have to be acquired after careful analysis of the events-the same has been provided below but it is still mostly left to the readers to draw their own conclusions. The differences between inter-regional and inter-continental trade can broadly be discussed under two headings- volume and capacity. Here volume means the amount of trade that was carried out across the world. 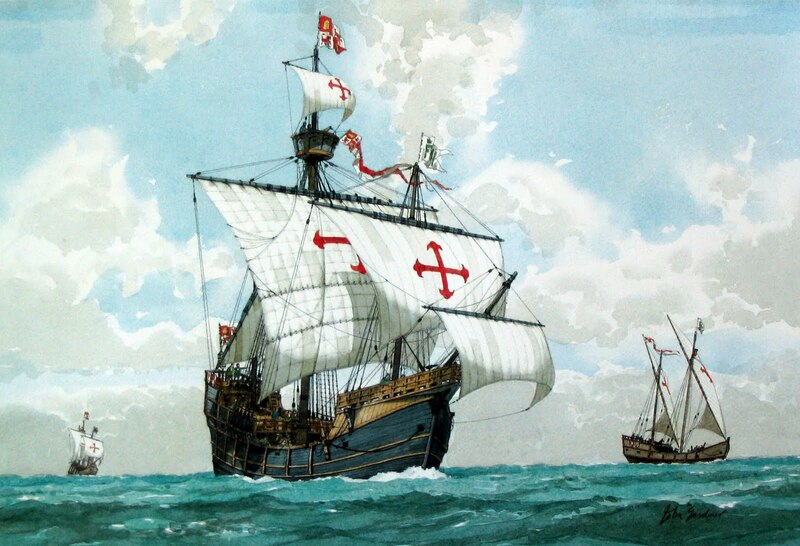 With the discovery of two entirely new continents(North and South America), and the Europeans having attained enough technological advancement to circumnavigate the Cape of Good Hope and the planet earth, there was significant increase in the volume of trade being carried out. By capacity I mean capacity of the state, its policies, institutions and the mercantilist tendencies within the states. We are able to see significant differences in the amount of efforts put in (including men and materials) by different states and how these played an important role in their respective economies, societies and international standing of the states by the end of the period under consideration (1800 AD). In a discussion about the volume of trade, we have to consider two hypotheses. The first one is forwarded by Patrick Karl O’Brien (1990), who says that there was significant influence of the inter-continental trade on Europe from the middle of the 16th century at a macro level and by the end of the 17th century at a micro- level. The other theory is by Rourke and Williamson (2002), who refuse to recognize that there was any significant change in the volume of global trade before 1800 to affect the overall prices or the living standards. This difference of opinion has many reasons. When O’Brien is talking about macro-level economic impacts of inter-continental trade, he is basically referring to the “trade and plunder” caused by the Spanish and Portuguese, or in other words their acquisition of bullion from America and the part it played in European economy , trade and politics. A large section of the American bullion found its way to Asia. Bullion was also very important for pre-modern Europe, especially after the mid-15 century when we find a significant regional market integration there. Bullion was crucial for the European states to raise armies and maintain armies with the advent of the standing armies in Europe. O’ Brien even speculates that the expansion of the Turkish Empire was checked and even better market integration was brought about from the middle of the 16th century because the bullion was able to strengthen the states let them take effective actions. How important bullion was to the regional market can be gauged by the fact that the Dutch were forced to buy Spanish bullion in order to have a favourable balance of trade with the Baltic region. On the other hand the reason why Rourke and Williamson disagreed on any significant impact of inter-continental trade before 1800 is because of the lack of price convergence in the domestic and overseas market and since they think that globalization takes place only when there is commodity price convergence. They are probably right in sighting that the globalization of the economy did not take place before the 19thcentury, but considering the arguments of Vries and O’Brien one can almost assume that Rourke and Williamson is engaging in historical short-sightedness when they are considering price convergence, because the inter-continental trade was bringing along benefits or effects which were having far reaching macroeconomic effects. Here the approach of Russell R. Mernard (1991)  must also be mentioned, in which he took the somewhat counter stand from Douglas North (1968) in mentioning that unlike North proposed there was not a significant decrease in the freight rates or similar increase in cargo capacity of the ships before the 19th century, and one of the reasons why this did not happen is because of the lack of technological breakthroughs. What is being discounted in these arguments by Mernard is that even though there were not many technological innovations during this period which could bring down the fright rates or increase the cargo capacities significantly- what happened then was an organizational revolution. Let us look at some of the important changes that North (1968) said took place during the period under consideration here. 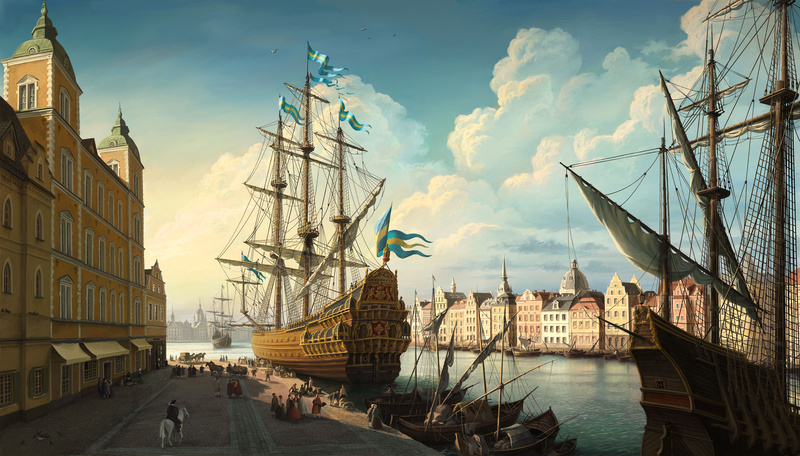 Less number of people were needed to man a ship, there was reduction of piracy which led to reduced weapons on board a cargo ship which meant more storage space for tradable goods and less people to protect it, there are also evidences of reduced amount of time being spent on the ports by ships as demand for goods increased. There is also another angle which can be added to show the significant increase in volume of trade as a result of inter-continental trade and that is the significant stimulus being provided to the slave trade which had reached its peak by the end of the 18th century (E. Evans & D. Richardson, 1995). This phenomenal growth in labour demand stands testament to the huge volume of trade which would have been impossible with the limited range of the European regional trade. So, to answer Mernard, what we are witnessing here in the early mercantilist period is not a technological revolution but more of an organizational revolution. Also with regards to the slave trade- since it is morally abhorrent and economically and politically banned now, many of the new trade deals like the ones mentioned above (TTIP and CETA) include clauses which would make both international distribution and movement of labour easier. There was also significant changes regarding the policies of the states in the realm of trade as it expanded from a regional base to an inter-continental one. The policies that the states followed after this expansion in trade took place had serious repercussions on the rent seeking abilities of many states, which impacted deeply on the power structure of the world. We see significant relations and differences in the policies followed and the later success of the different countries. For example, there was Portugal a poor country with limited resources which brought its inter-continental trade under total control of its government facilitated by a sufficiently mercantalist Crown (Pearson, 1991). Then there were the Dutch who had an oligarchic rule and there was not much of a difference between the objectives of the rulers and the merchants. There was then the French who were plagued by the over indulgence of the state in trade and the English whose state was not very interested at what its traders did under ordinary circumstances but were interested when it could make important diplomatic gains The British state was more concerned with decreasing conflicts between internal rivals within the state and in rent seeking inter-continental trade. Another significant difference between regional and inter-continental trade is the evolution of merchant warriors. Even though battles have been fought before for economic reason, but after only a few years of the biggest religious war that was fought in Europe (The thirty years war) we see a new kind of warfare with the Anglo- Dutch and Franco- Dutch wars, later the seven years war. These wars were of an entirely new kind. They were fought for mercantilist gains and more importantly the Anglo- Dutch and the seven years war was fought all over the world. Thus we see a change of trend where the merchants were increasingly backed by military and mercantile activities got intertwined with diplomatic, strategic and military issues. This is the reason why all major modern trade deals like the TTIP and CETA include significant conflict resolution mechanism within it because as historical evidence shows trade disputes often precipitate into full-fledged diplomatic or even military confrontations. Here we should also consider the issue of Europeans establishing mercantilist empires. The Europeans had tried to establish an empire in Europe, and failed (possibly because of the extreme inter-regional dependence) and so they exported it abroad (Brady 1991). With these new exports came the complete package of civilization and institutions, whose implantation would have different impacts in different regions of the world, which would in some sense also mirror the country whose institutions would be implanted. Coming back to wars and battles, it is the one commonality that the Europeans managed to keep between the intra – regional and inter-continental trades, as it led to the development of the financial market. This is seen happening in a significant scale to the Dutch when a financial market free from their commodity dependence is seen evolving in the 1st half of the 17th century. This had also happened because of the increased indebtedness of the state governments, after they borrowed heavily from the mercantilist class to fight their wars, and in the 17th century with the advent of the standing army the cost of the armed forces sky rocketed. We can say that there is a significant difference in the volume of the trade that was carried out in the inter-continental level and the intra-European trade. Moreover it maybe because of this volume that the state and individual actors were attracted and in some cases pushed into increasing and extending their abilities and capacities. But there is a dilemma which lingers because of one statement by Menard –“The most important innovations were made for inner trade which were later spread”, which leads one to ask the question that whether the success of inter-regional trade was necessary for the success in inter-continental trade. The answer probably is not in full affirmative or in full negative because keeping in mind the mid-16th century date that O’Brien mentioned for the beginning of the influence of inter-continental trade in Europe, at a macro level, the integration of trade within Europe suffered from regional disparities, especially when the West was highly integrated and the East was not with the European trade. So, how can we translate this above mentioned historical equivalence to our present conundrum regarding inter-continental trade deals like CETA and TTIP? Let us try to answer this question by looking at the above historical example and attempt to figure out what possible impacts the present world treaties facilitating inter-continental trade might have in the future. Firstly, these agreements will most definitely have far reaching effects, but they will need some time to accomplish their long term goals like controlling inflation, facilitating large scale employment in different countries and establishing a somewhat mutually beneficial trade regime. Secondly, there is no doubt that the amount of trade will sky-rocket which will also increase the amount of economic activities being carried out. Thirdly, these increased economic activities will necessitate innovations in how different functions are performed which would lead to not only organisational changes but also scientific discoveries and innovations and their rapid adoption. Fourthly, these pacts will not only allow different countries to pursue different policies to safeguard their own national interest but also facilitate different countries from recognising their common interests and pursuing them together. Lastly, some of the problems sighted by the opponents of these trade deals like de-industrialisation, unemployment and compromises being made to the quality of products will most likely persist even after these treaties have been signed. This is because despite the confidence of the opponents of these deals the cause and effect relations between trade and some of these problems are not very clear and many have direct relation to internal politics or social arrangements of different countries rather than to trade. Pearson, M.N. (1991): Merchants and trade, in J.D. Tracy, ed., The political economy of merchant empires, Cambridge, New York (Cambridge University Press), pp. 41-116. Brady, T.A. Jr. (1991): The rise of merchant empires, 1400-1700: A European counterpoint, in J.D. Tracy, ed., The political economy of merchant empires, Cambridge, New York (Cambridge University Press), pp. 117-160.